It looks like DJ Khaled is like the rest of us trying to win that 1.6 billion dollar drawing tonight for the Mega Millions. The We The Best CEO took to his Instagram page to show off the insane amount of tickets he was purchasing at the gas station tonight. It’s unclear exactly how much Khaled dropped to buy the $2 tickets, but the lady working looks to have a stack of hundreds, maybe even a couple grand. 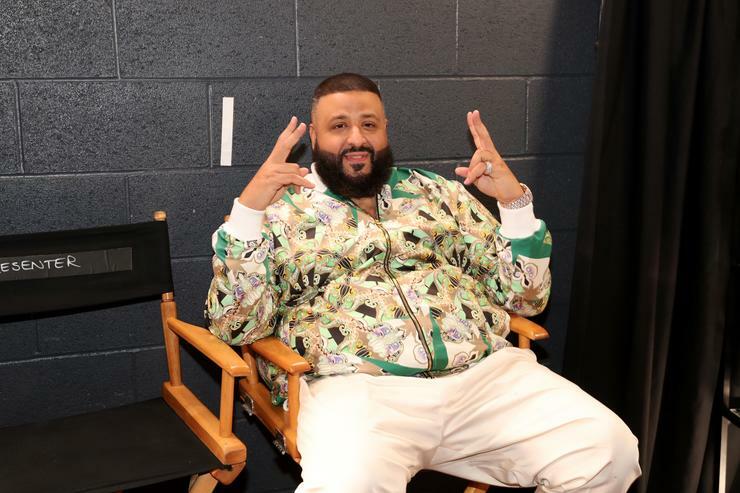 Now with a purchase of only $2 bucks, Khaled believes he’s given himself a chance at better odds to be the lucky winner, but the odds at winning this are about 1 in 302 million. With all those possible combinations, the likelihood of winning is astronomically low, but Khaled is trying his best to get it. According to reports, the lump sum cash reward for the winner is about $900 million, with government taking about half. So all in all, if there’s one winner they could win about 500 million cash after taxes, making the winner just as rich as Beyonce over night. While it’s damn near impossible to win, it sure is fun to dream about what you would do with all that money, isn’t it? The drawing goes down within the next hour, so get your tickets ready. BILLI ! Secure the bag 💼 alert 🚨!!!!!!! !